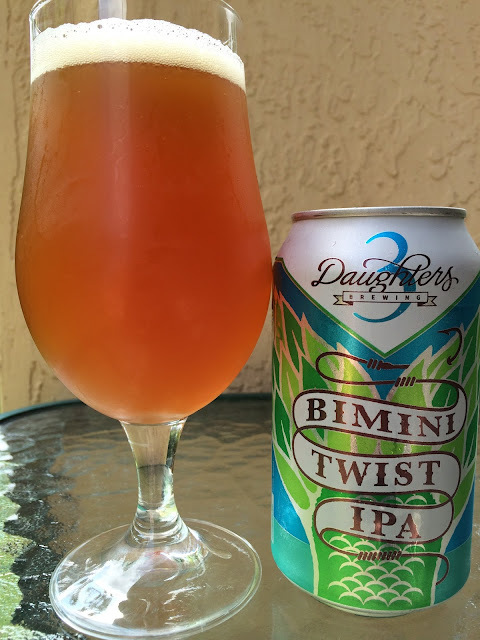 After really enjoying 3 Daughters Brewing's St. Pete Beach Blonde Ale, I decided to check out their Bimini Twist IPA. The can art is very creative - the main design is the tail of a fish made from two hop cones. 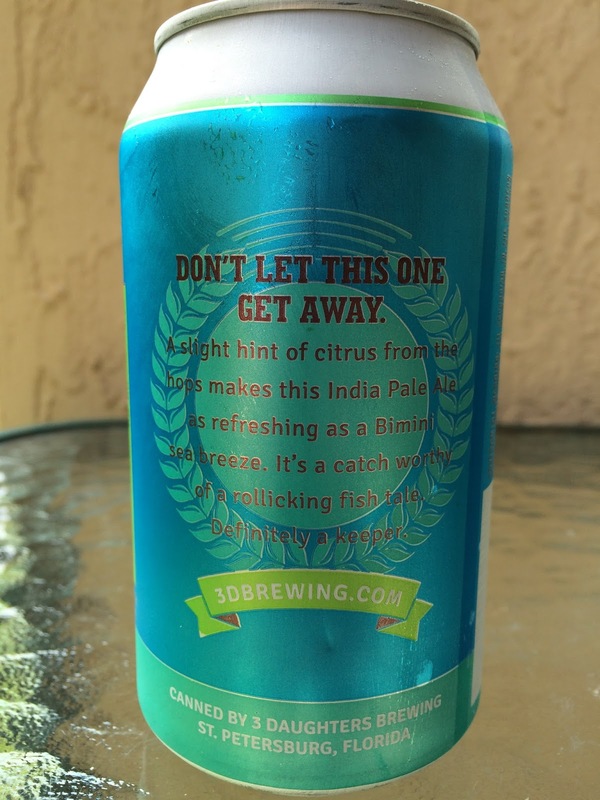 The fish is diving back down into the water so you only see the tail, but it appears that the fish is hooked in the tail by the fishing line that highlights the beer's name. Not really any aroma. Pretty malty and sweet for an IPA. Rich and chewy. Herbal with some fruity orange. Then some astringent bitterness shows at the finish and hangs around. Definitely different but not that great. In a mega-competitive category, even in the brewery's own back yard (like Coppertail's Free Dive that I recently tried), I think this beer needs a lot of work.